South Bay officials are working hard to prevent a repeat of this past winter when Coyote Creek breached its banks, flooding San Jose neighborhoods. Kris Sanchez reports. South Bay officials are working hard to prevent a repeat of this past winter when Coyote Creek breached its banks, flooding San Jose neighborhoods. 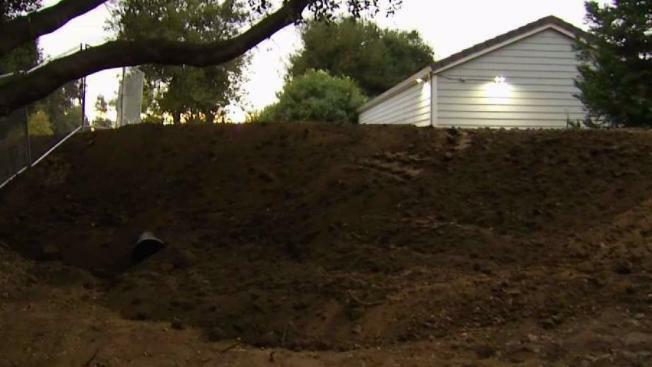 The Santa Clara Valley Water District says temporary berms should be able to protect the Rock Springs neighborhood. The vinyl barrier will be as high as five feet in some spots and should get the area through the winter. A big part of the catastrophe was that people didn’t know they needed to evacuate until it was too late. Many had to be rescued by boat. Communication is critical, according to officials with the water district and Santa Clara County, who are boosting emergency systems. People are encouraged to sign up for AlertSCC and download the ReadySCC app. The county will share information on its Twitter and Facebook pages, while the water district will use its website.